The Mazda CX-9 is our Top Large SUV of 2016. 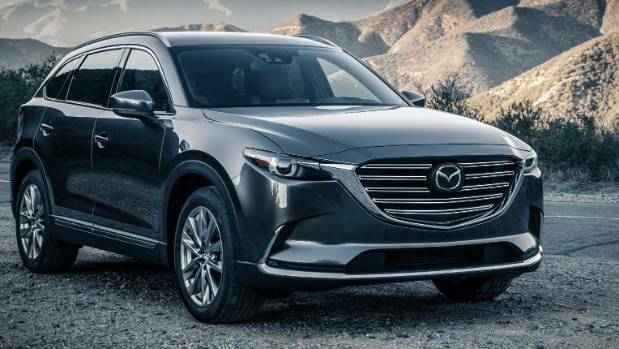 The new Mazda CX-9 is very similar in concept to the old CX-9. And yet it couldn’t be more different. Like its predecessor, the new CX-9 was created with the American market in mind (and indeed, by a largely American Mazda team) as spacious seven-seater with family values. Unlike the old CX-9, the new one is at the forefront of the Japanese brand’s design and technology efforts. New-gen styling has made the large CX-9 look positively athletic. It embraces Mazda’s signature Kodo styling to great effect, it’s the first SkyActiv model to adopt a turbocharged 2.5-litre engine (it produces as much torque as the company’s 2.2-litre diesel) and it brings an impressive number of driver-assistance and safety features.